Hosa Pro Guitar Cables are engineered to deliver years of rock-solid reliability. Combining REAN connectors by Neutrik AG with world-class manufacturing techniques, they redefine what performance and value are all about. All Hosa cables and adaptors purchased in the USA are warranted by Hosa Technology, Inc. to be free of defects in material and workmanship for the lifetime of the original purchaser. In the event of such defects, Hosa will repair or, at our option, replace the warranted product if delivered to Hosa, prepaid, together with the sales receipt or other dated proof of purchase. This warranty excludes defects due to normal wear, abuse, shipping damage, or failure to use the product in accordance with the instructions. 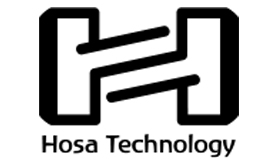 Hosa Technology, Inc. shall not be liable for damages based upon inconvenience, loss of use of the product, loss of time, interrupted operation or commercial loss, or any other damages, whether incidental, consequential or otherwise. This warrant gives you specific legal rights, and you may have other rights, which vary from state to state.